LeisureWorld Cork provides health, fitness and recreation facilities and services across Cork City, Ireland. They have leisure sites in 3 locations – Bishopstown, Churchfield and Douglas. Home to swimming pools, gyms, fitness classes, all weather pitches as well as lots of activities for children such as birthday parties, camps and swimming lessons, LeisureWorld offers something for everyone when it comes to fitness and recreation. All LeisureWorld locations are available to the public on a Pay As You Go basis, with both Bishopstown and Churchfield also providing a number of membership options. 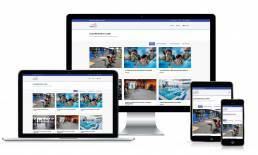 VoucherCart are proud to support LeisureWorld’s growth through pre-paid voucher sales, with vouchers available from Memberships to swimming lessons and fitness classes.